Search Engine Optimization is just the beginning of an Internet Marketing campaign. Marketing your organization on the Internet is more complicated than ever, and involves a combination of SEO, submissions to engines and directories, social networks and video production. The conundrum business owners face is to know where to put their advertising dollars for the most ROI. Trig Web Design has been marketing their clients on the web for over 10 years, and has the tools and knowledge to put your business in front of your target customers. 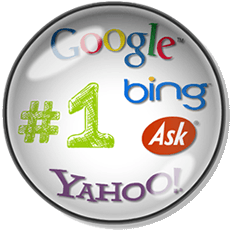 Our Search Engine Placement program is taken right from the Google Webmaster Guidelines, and includes site optimization, XML sitemap submissions, Yext Powerlistings and relevant backlink building. Together with researched keywords, demographics and marketing psychology, our websites get to the top of the search engines, and convert visitors to customers. Search Engine Optimization (SEO) is crucial to your search engine placement and is a combination of keyword density, META code, site structure and HTML markup. Page Titles, paragraph structure, even spelling and grammar all go towards your Page Rank. Our Enterprise-Level software analyzes every we build (or rebuild), to ensure the highest Optimization Score possible. Google and Bing both use XML sitemap submissions to 'spider' and index your website. An XML sitemap is simply a page of all the links in your site, updated dynamically by SEO software installed in your website. When a page is added or updated, Google and Bing are updated automatically, and re-index your site accordingly. Every site we build or optimize has XML sitemap systems installed and submitted through Google and Bing Webmaster Tools. 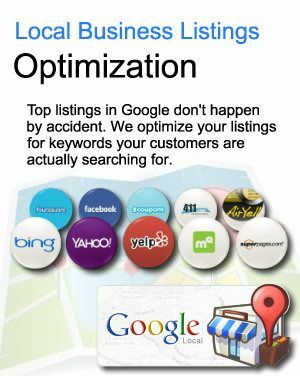 Years ago, SEO specialists would sit for hours submitting sites to hundreds of search engines and directories to place businesses in the critical directories such as Yellow Pages and Yelp. In the last few years, all the major Directories have switched to a company called Yext to submit for them; and it's no longer free. 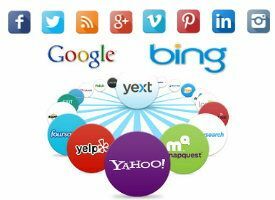 Trig Web Design is Yext PowerListings Reseller, and has successfully populated our clients on over 400 directories and search engines with Yext. Our program also handles duplicate suppression, error corrections and address changes across all listings in the event of a company move. The results are powerful; traffic from Yelp and other Directories can account for more than 40% of your traffic, with Google getting 90% of all searches in the web. While your page rank increases, you may want to invest in some Pay-Per-Click programs to boost traffic and get some sales going. 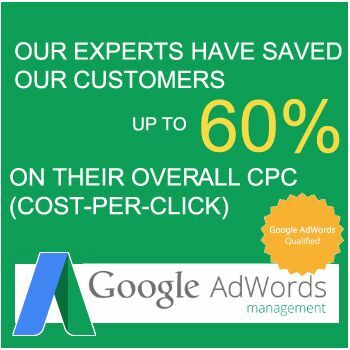 Google Adwords is the most common and efficient way to get your website in front of people actually looking for your product or service. Social Proof is vital to the success of your business. 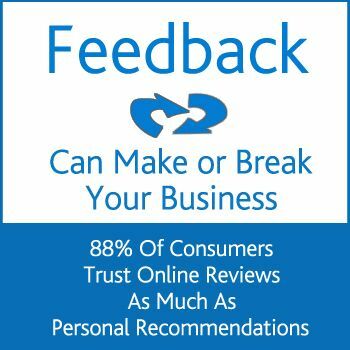 Customer Reviews are the number one thing people look at when buying a product or service, and if you don't have great reviews (or worse none), people will not buy from you no matter how good the deal. 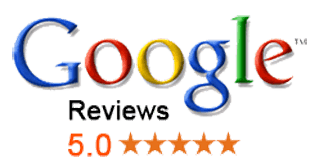 Trig Web Design specializes in Reputation Management, and can help you get reviews from your current clients, respond to any bad reviews, and create links on your site for customers to create new reviews on your Google Business Listing. Facebook can account for much of your traffic, depending on your industry. Just about any business can take advantage of a free Facebook for Business listing, and 'boosting' posts on Facebook can put your product in front of thousands of potential customers. Twitter can be used to gather followers and keep them informed of sales, specials and coupons only available to subscribers. This breeds customer loyalty and increases sales. Getting your brand out into the world can change the face of your entire company. 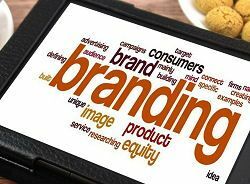 Many businesses have benefited from a strategic branding strategy, which can involve print ads, videos, classifieds and billboards. On the web, branding can be done on social networks and Search Engines easily, and can cost much less than conventional branding techniques.